Back when Cyanide were helping out with Space Hulk: Deathwing, the co-op first-person-shooter based on the classic board game, they obviously fell in love with the original game. So much in fact, that in-between all their HP Lovecraft and World of Darkness stuff they’ve decided to adapt it again - and this time, with Space Hulk Tactics, they’re properly re-creating the board game. Of course they’re not the first developer to do this - Full Control released a pretty faithful (some might say too faithful) version of Space Hulk in 2013. 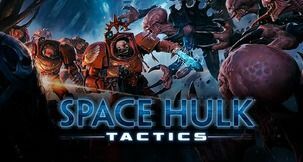 We’ve played that, and we’ve also now played Space Hulk Tactics too, so here’s our early impressions and even an exclusive gameplay video showing us losing. Badly. It's looking likely that Space Hulk Tactics will end up on our list of The Best Strategy Games on PC! There are four Space Marine types - Blood Angels, Dark Angels, Space Wolves and Ultramarines. 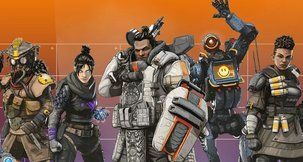 There’s even character customisation for each of your multiple unit types - Sergeant, Librarian, Assault, Heavy Weapon Bearer, and Apothecary (at least two of those are cooler than they sound). And then we hit the important part: the Space Hulk Tactics campaign map. Yes, there is one now. 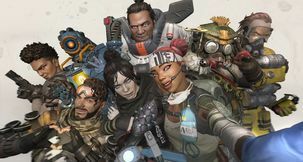 We only got a glimpse of this map, but it promises to add some much-needed depth to the game, something that was missing from Full Control’s version. Essentially there’s a simple board game-like map of the spaceship, which the player moves their Marines around. There are teleports, blockages, locked doors, objectives, and the terrifying Genestealers. 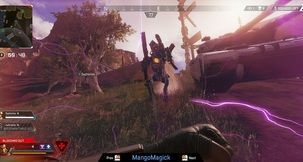 A ‘Danger’ meter increases as time goes on, and when it hits maximum a combat encounter is certain. 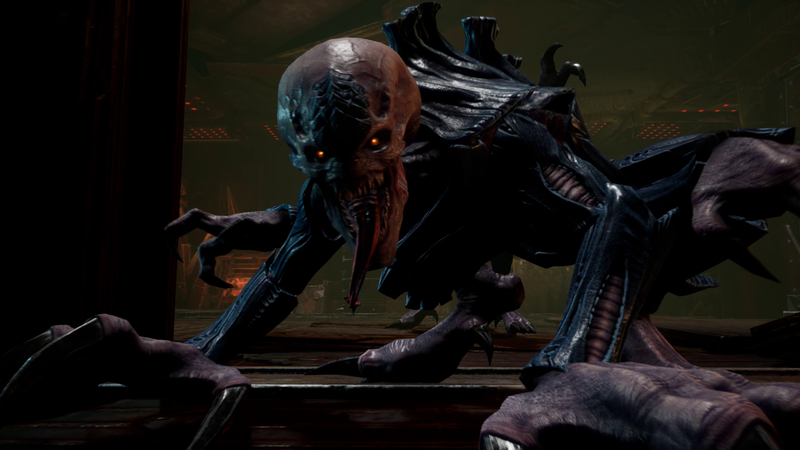 Players can lower this, or manage to make it to a special mission first, but eventually the Genestealers will catch up. 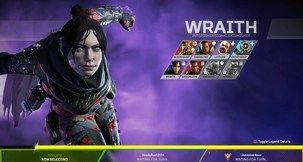 Another big new feature (we’re saving the biggest until the end of this preview) is the Card system. These are buffs that can be played on each turn, with such life-savers as guaranteed hits or enemy misses. Sometimes these can be very specific though, like for a particular Marine type who isn’t facing enemies, at which point players can ‘trade them in’ and convert them to extra Action Points. Very useful. This card system gives a very welcome boost to what is, still, a hugely unfair game. Yes, yes it is. 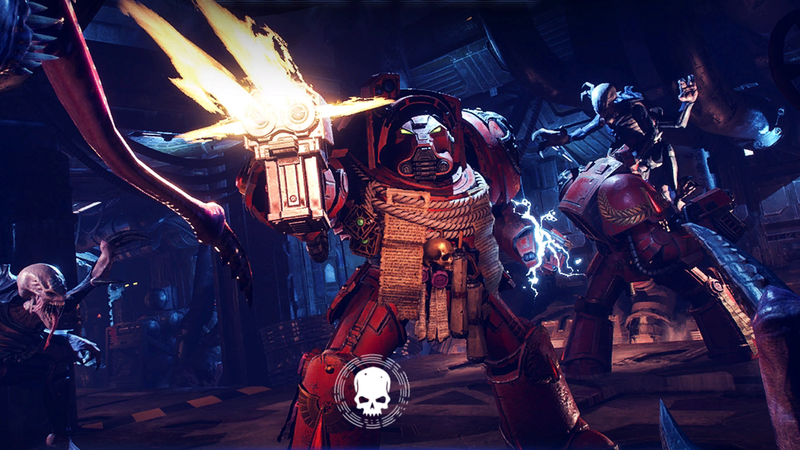 Space Hulk may look like a fun Warhammer 40K turn-based strategy, but it’s absolutely brutal. You don’t win matches, you survive them... and more often than not you don’t do that either. Maps are quite simple, often just a series of corridors with the odd tiny room, all presented in a board game-like grid. You place down your Space Marines, then prepare for a slow, gradual, and probably fatal assault. Much like in Aliens, which is obviously the big influence on Space Hulk, the odds are stacked against the player at every turn. While the Marines are all tough, heavily armed and heavily armoured dudes, the Genestealers move fast, are clever, and if they get close most of the time they’ll rip right through any Marine like paper. From a distance Marines have some edge, but the narrow corridors of Space Hulk give very little advantage. And worse, with all that armour Marines move like very slow tanks. Just changing direction takes a whole AP, and shooting can often miss. So why would anyone play such a deliberately unfair game? Why do people play Dark Souls? Because there’s a logic to it, and rules, and the challenge is what makes the series so compelling. If it’s not for you, that’s fair, don’t buy it. 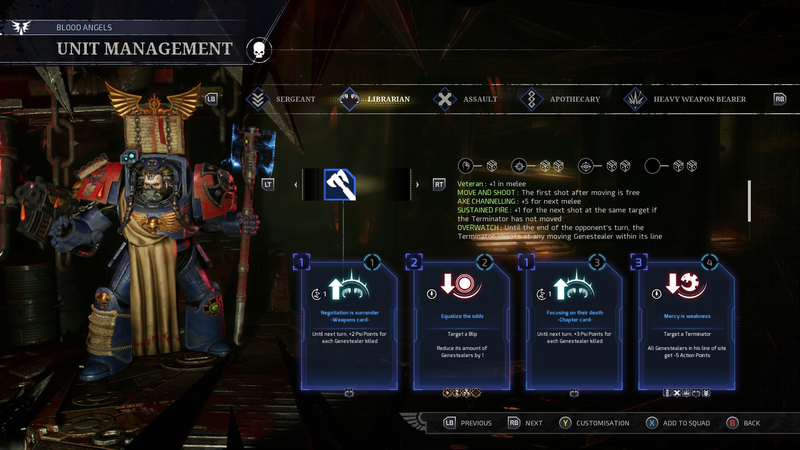 This is for Space Hulk fans. 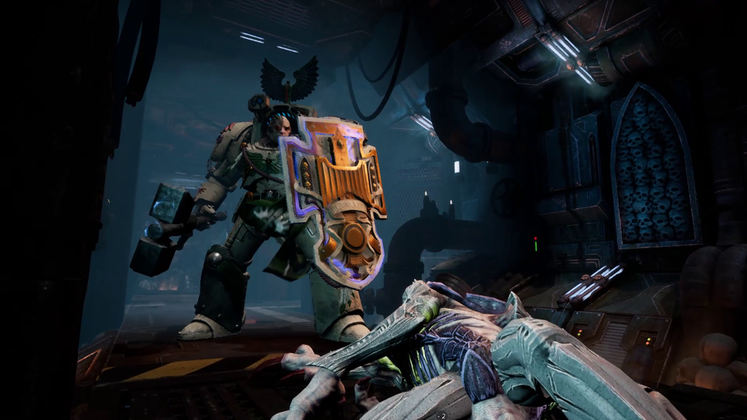 Space Hulk Tactics has just yesterday got a release date of October 9, and that will be on PC, Xbox One, and PS4. 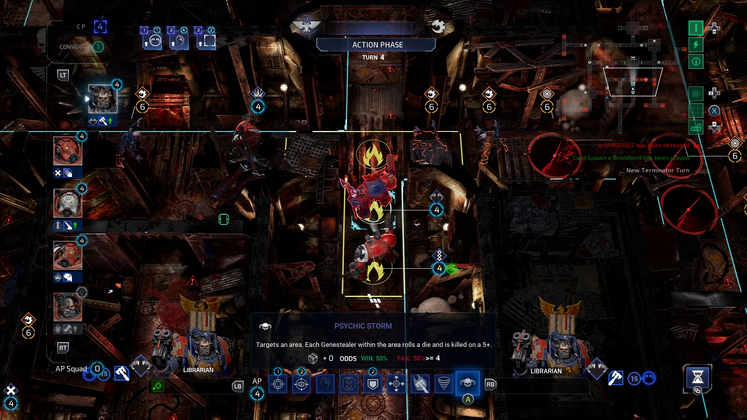 So to finish off, how does Tactics compare to the 2013 Space Hulk game by Full Control? Generally, better. The pure in-game combat is much the same, since Full Control also went for a faithful adaptation of the board game, but Space Hulk Tactics does everything with a bit more flair. 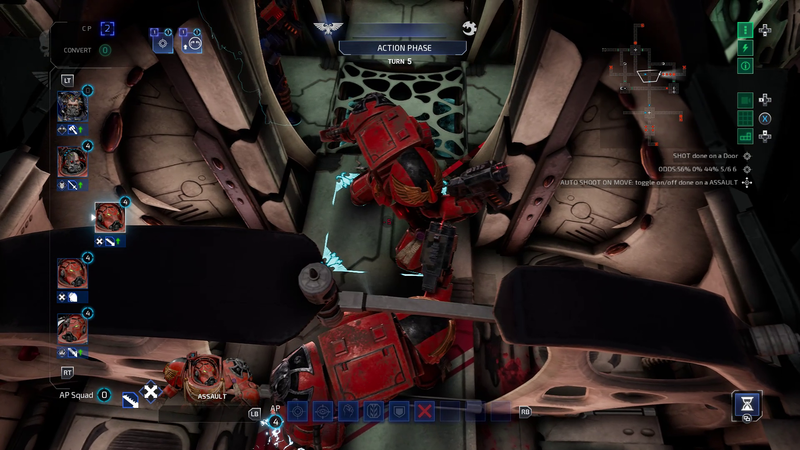 Genestealers enter maps like a scene from Aliens, death animations are suitably epic, graphics are a lot more detailed, and the first-person camera is just great. The Card system adds a lot, as does the cool campaign map, which really puts the story in context. However, the biggest new addition is a full Genestealer campaign. Sadly we didn’t get to try it (it’s not ready yet) but that alone is a hugely exciting prospect. We’re trembling at the thought of failing another Space Hulk game, but… we’re compelled to try again. Oh come on, it’s the Genestealer campaign. We can’t wait to try that.